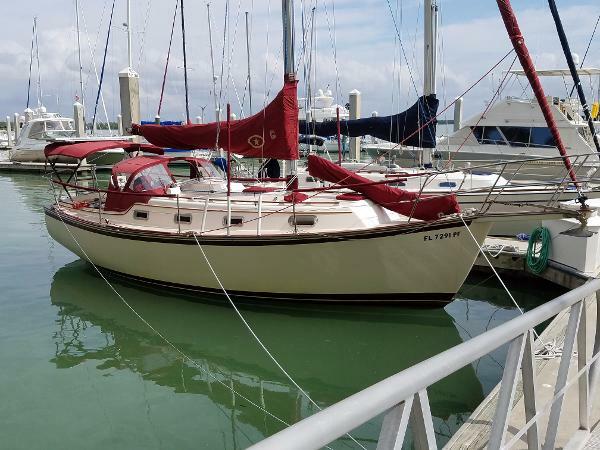 1986 Island Packet 31 IP 1986 Island Packet 31 IP - Don't miss this chance to own one of the biggest 31 foot sailboats on the market. Full captain's quarter in the bow. Full sized head and shower. 2nd quarter berth with enclosed cabin. 6'3" headroom. Spacious salon with seating for 6. Full galley with dual sinks, 2 burner stove and oven. Large cockpit with seating for 7. Dinghy davits with 350 lbs capacity plus engine hoist. 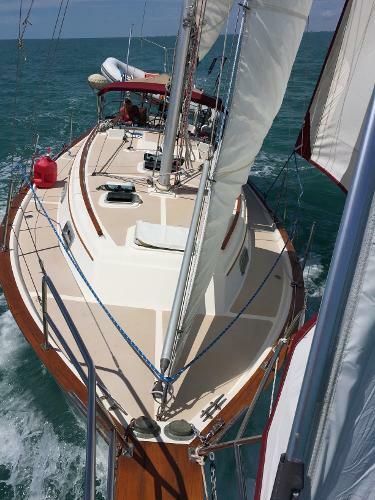 Rare shoal draft with cantering centerboard (3' draft with board up, 7' draft with board down), very stable at sea or in a rolling anchorage with centerboard deployed. With the centerboard up, gunk hole right up close to the beach where only catamarans can usually get to. This capable cruiser is easy to single hand. Spinnaker can by raised by one person with the use of a tacker. All new canvas in 2015. New centerboard and hardware installed by manufacturer in 2015. Reliable 3gm30 Yanmar Diesel engine. Boat was configured for easy maintenance. Spend your time sailing and cruising not working on the boat! 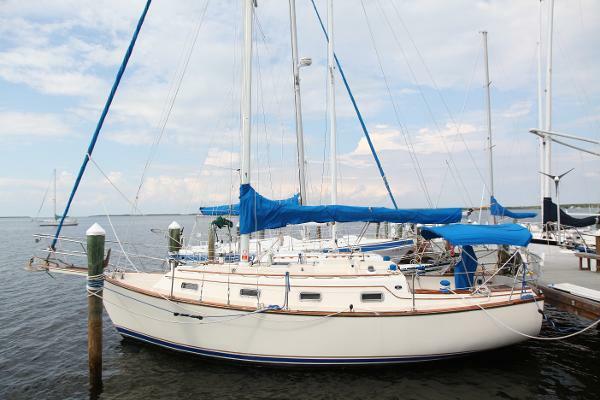 1988 Island Packet 31 Superior Condition The IP 31 is a cruising classic. Her owner has maintained her in beautiful condition. In the past five years, Mystic has undergone cosmetic, mechanic, rigging and electronics upgrades.With its broad beam, full keel hull along with the excellent control and sea keeping qualities your travels with be safe and enjoyable. As his plans have changed, the seller is ready to pass this classic Island Packet on to a new owner, Bring Offers. 1987 Island Packet 31 The Island Packet 31 is a pedigree cruising yacht capable of long distance voyages. This example sits at or near top of the class with tremendous care shown by the owner in overall condition, upgrades and redundant systems. If you're looking for an IP31, this is likely to be your best choice. Please contact us for a complete high res slide show and to arrange an inspection. Her features include: Yanmar 27 HP Diesel w/996 Engine Hours, Three Blade Prop, Built-In Oil Change Pump, 2 Fuel Pumps in parallel in quick-change plumbing, 2 Racor Fuel Filters in parallel with selector valve, Racor Filter Monitoring Guage, Racor Water monitoring on each filter, Instrument Pod w/Oil Pressure-Temperature-Amp-Voltage-Hourmeter, Bimini Top, Dodger, Sail Cover, Sun Shade, 1 Main, 1 Genoa 130 Roller Reefing, 1 Staysail, West Marine 8'6" Inflatable w/Stainless Steel Dinghy Davits, 2 Anchors: 1 Bruce, 1 CQR, 300 ft. chain, manual windlass, 3 VHF Radios, Garmin 3210 GPS w/DF, B&G Wind Indicator, B&G quad depth/speed, Ritchie Globemaster Compass, Stereo System w/10 CD Changer, 100 Amp Alternator, 360 Amp Solar Array, Ampair 100 Wind Generator, 2 Gelcell Battery Banks - 450 amp hour each, Inverter/Charger Freedom HF1000, Paneltronics C/B panel - AC/DC, Link 2000 Battery Monitor, Shore Power - 2 75' cords w/AC outlets in cabin & cockpit, Enclosed Head with Stand Up Shower, Cockpit Shower, High Water Bilge Alarm, Anchor Wash Down Pump, Full Galley w/Double Sink-Propane Stove & Oven, 2 10 Gal propane bottles, Adler/Barbour Refrigerator/Freezer, Microwave Oven, 110 AC in Galley, Water Heater, Full Swim Platform, Dockside H2O. Meets all BoatMax quality standards criteria. Call BoatMax for boarding appointment, open 7 days. 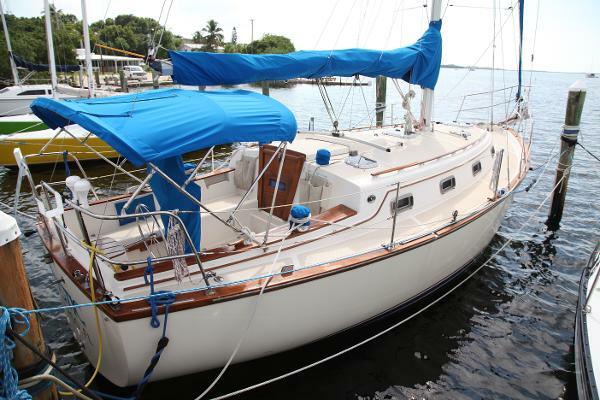 1988 Island Packet 3GM30 Superior Condition The IP 31 is a cruising classic. Her owner has maintained her inbeautiful condition.Mystic has undergone cosmetic, mechanic, rigging and electronics upgrades.With its broad beam, full keel hull along with the excellent control and sea keeping qualities your travels with be safe and enjoyable.